Haya Shalom is a feminist and human rights activist. As a lesbian, she is one of the leading forces in promoting womens solidarity for peace and women’s rights. 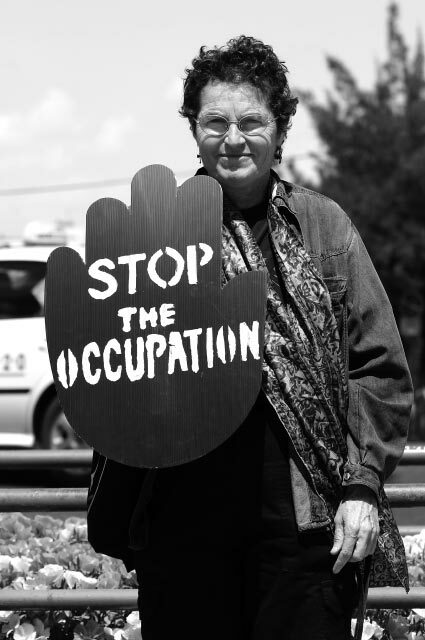 Shalom is one of the first women who joined and assisted Women in Black, protesting for more than 16 years against the Israeli occupation of Gaza and the West Bank. This peaceful protestation has expanded beyond the causes of the Palestinian issue to influence women all over the world. Despite the slow and gradual change she has made, Haya is optimistic about the future. Haya Shalom states that she was given the opportunity to meet some of the most significant people in her life. One of them is Hania, a Palestinian colleague and life-long friend from Ramalla. Shalom speaks warmly of this relationship, which in Israeli and Palestinian reality exists against all odds. They cannot meet very often due to the difficulties of passing the military checkpoints, but nevertheless their friendship remains strong. Their total acceptance of each other is especially magnified due to the fact that Shalom has been a leader in advancing lesbian rights, which is taboo within traditional Palestinian discourse. Admitting at the age of 35 that she is a lesbian triggered an outburst in Shalom’s activities and had a substantial effect on her life. For her, this was a renascent birth. It opened to her a new world which included initiating and supporting feminist activities, fighting for women’s rights, advancing issues concerning human rights, and striving for a just peace. Shalom’s vision for a peaceful future is based on the initiation of a radical change that will crumble the definitions of the patriarchal society. 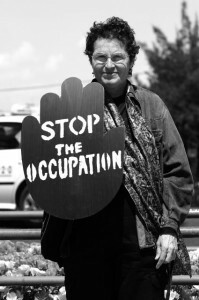 To date, pacifist and human rights activists, such as Women in Black, are considered traitors in parts of Israeli society. During their demonstrations people tend to reprimand them, curse, yell and spit on them, often accompanying such gestures by sexist remarks (especially by men). At times, the hatred even becomes violent. The networks empowering her are the organizations she is affiliated with: Women in Black, The Coalition of Women for Just Peace, The International Gay and Lesbians Human Rights Commission and International Womens and Lesbian Rights Organizations amongst others. In addition, the human relationships that she has formed with other colleagues involved in her mission are her main source of power and hope.